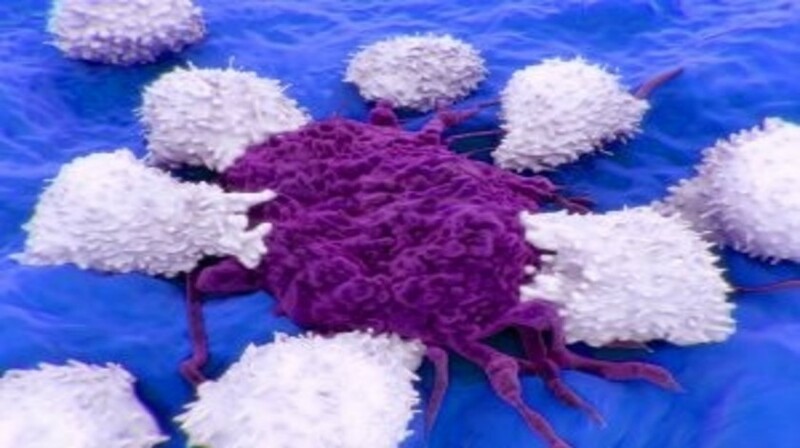 Researchers from Roswell Park Cancer Institute (NY, USA) have discovered a new approach used by myeloid-derived suppressor cells (MDSCs) that allows tumor cells to avoid immune attack. The study, published recently in the journal eLife, may provide important insights for designing more effective cancer immunotherapies. MDSCs are part of an immunosuppressive network that allows cancer cells to escape T-cell adaptive immunity and thus upregulation of these cells is associated with poor patient prognosis. It was previously thought that MDSCs mediate this response solely in tissues; however, in this new study the Roswell Park team discovered immunosuppressive activity in circulating MDSCs. The research team led by Sharon Evans (Roswell Park Cancer Institute) used a state-of-the-art microscopy system to visualize how MDSCs interact with T lymphocytes. Their results demonstrated that MDSCs reduced the expression of L-selectin lymph node homing receptors on naïve T cells therefore preventing their cellular trafficking to the lymph nodes. There are hopes that the results from this study will lead to the identification of new therapeutic targets against metastatic disease as well as improving prognosis.